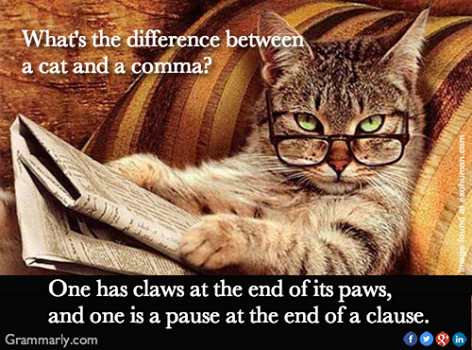 An Easy Way To Remember When To Use A Comma! Previous Article Do I Use an “A”, or Do I Use “An”? And Does It Really Matter? Love the cat!! Thank you for helping us with punctuation!